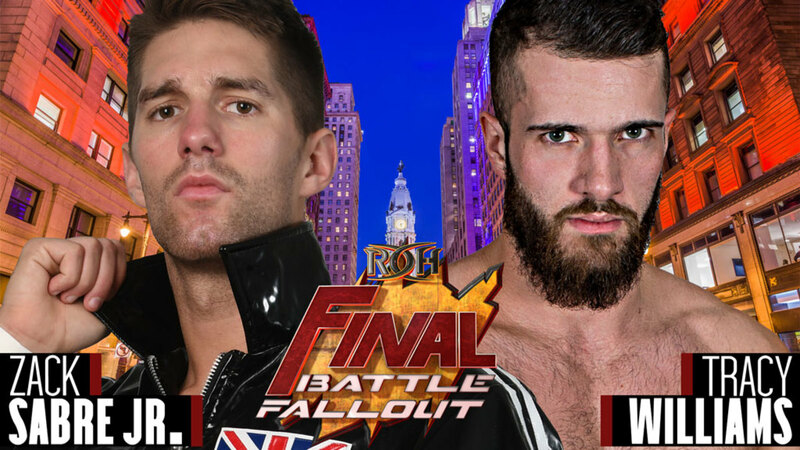 In addition to facing Jonathan Gresham at Final Battle, Zack Sabre Jr. will be in action at Ring of Honor's December television tapings. Sabre vs. Tracy Williams is the first match to be announced for ROH's post-Final Battle TV tapings at the 2300 Arena in Philadelphia, Pennsylvania on Saturday, December 15. This year's Final Battle pay-per-view will be taking place at the Hammerstein Ballroom in New York City on Friday, December 14. Sabre will be making his ROH debut against Gresham at Final Battle. Williams wrestled for ROH for the first time earlier this month, losing to Gresham in a Survival of the Fittest finals qualifying match at Survival of the Fittest 2018. While they were in EVOLVE, Sabre and Williams wrestled each other at EVOLVE 95 in 2017 and EVOLVE 70 in 2016. As was announced at Survival of the Fittest, CMLL's Rush will be making his ROH debut at the December 15 tapings in Philadelphia.